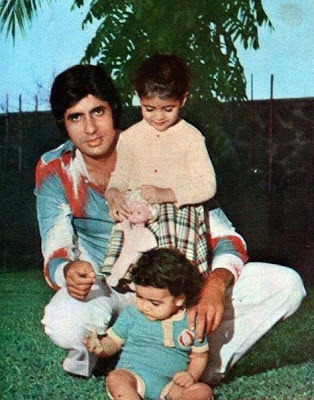 Amitabh has played double and triple roles in a number of films. His double roles include Adalat, Don, Kasme Vaade, The Great Gambler, Bemisaal, Desh Premee, Satte Pe Satta, Aakhree Raasta, Toofan, Bade Miyan Chote Miyan, Lal Baadshah and Sooryavansham. Mahaan, in 1983 saw him play in a triple role. 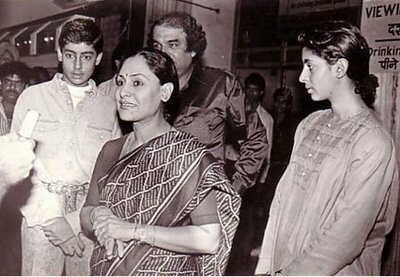 In 1984, Amitabh was honoured by the Indian government with the Padma Shri Award for his outstanding contribution to the Hindi film industry. 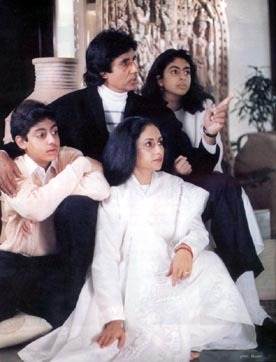 Prakash Mehra was planning on making Chankaya Chanddragupta and had signed Amitabh for the main role. The movie was shelved unfortunately. 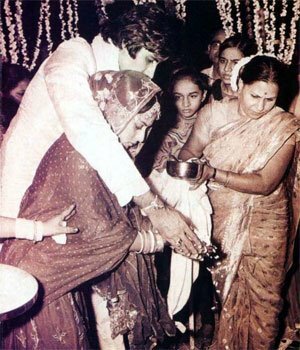 The icon and living legend of Indian cinema, Amitabh Bachchan was born to Shri Harivanshrai Bachchan & Smt. 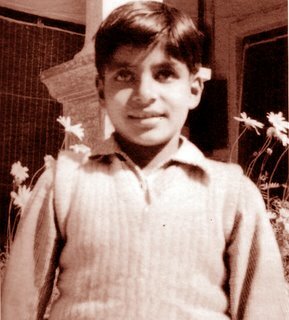 Teji Bachchan in a small city of Allahabad in Uttar Pradesh on the 11th of October 1942. 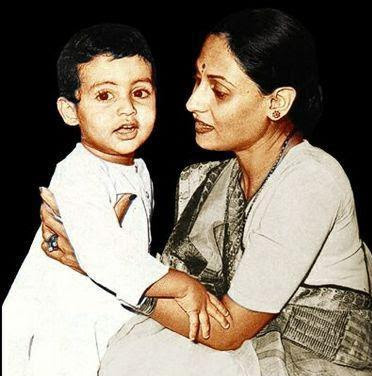 No one ever felt that this lanky young man would be making a significant mark in Bollywood and attain the superstar status which not many have achieved. Big B as he is called, started his career with Saat Hindustani in 1969 directed by K.A. Abbas which was not a great success. Signed by Prakash Mehra for movie Zanjeer, which eventually went on to be a super hit, after which there was no looking back for Amitabh Bachchan. Amitabh was considered 'finished' in the late nineties after super star status for 20 years, a string of flops and failed political and business ambitions. He made an unexpected comeback as host of the popular TV quiz series Kaun Banega Crorepati? 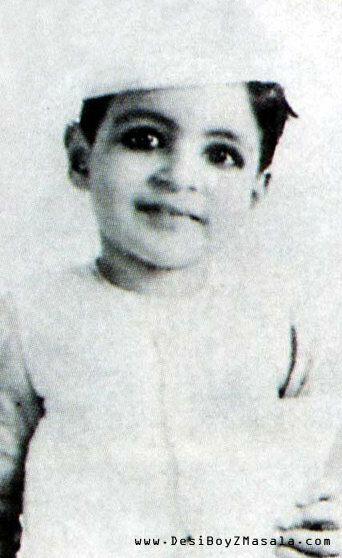 in 2000, which put him right back on the number one spot of Bollywood actors over 40, reaffirming his reputation as the living legend of Indian cinema with a new series of high profile films Mohabbatein, Kabhi Khushi Kabhie Gham etc. 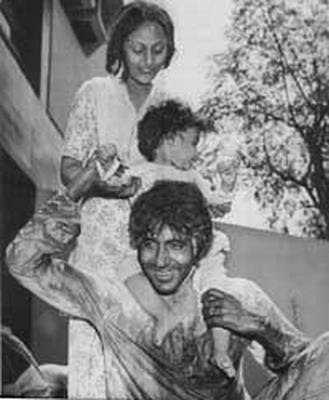 Following a near fatal accident while shooting Coolie in 1983, during which Amitabh suffered internal bleeding and required 17 bottles of blood, he became a champion for the cause of encouraging more people to donate blood. When Amitabh was trying to get a break in movies he was told to soften his 'deep' voice. However it was soon realised that his deep rich voice was excellent for narration. He has since provided narrations for several films. 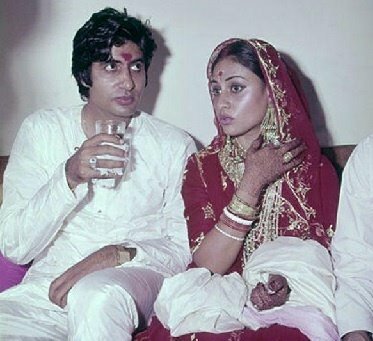 Amitabh Bachchans on screen chemistry with his co-stars especially Parveen Babi , Rekha & Rakhee was really its moneys worth. The movies with Parveen as co-star which I would mention are Majboor, Deewaar, Amar Akbar Anthony, Namak Halal, Shaan, Kaalia, Mahaan, Do Aur Do Paanch, Desh Premee,. Ganga Ki Saugandh ,Khoon Pasina, Suhaag, Muqaddar Ka Sikandar, Mr. Natwarlal and Ram Balram were noteworthy hits with co-star Rekha. Kabhi Kabhi, Kasme Vaade, Trishul, Kala Patthar, Adaalat, Barsaat Ki Ek Raat, Lawaaris, Bemisaal with Rakhee. But what emerged out of it was a strong family man, a devoted husband and a caring father. Amitabh & Jaya paired together in 2001 in Kabhi Khushi Kabhi Gham directed by Karan Johar. This living legend has been an integral part of the Indian cinema for four decades and seems to be only going stronger. Amitabh’s father Harivansh Rai Bachchan was considering naming him 'Inquilab' (which means 'revolution') before deciding for Amitabh which means 'brilliance unlimited'. In 1996, Amitabh released an album called "Aby Baby". This album was released under ABCL and featured songs like "Eer Bir Phatte" and remixes of his songs from his early movies O Saathi Re and Kabhi Kabhi. "Eer Bir Phatte" was inspired by one of his famous dialogues in his movie Adalat. In 1999, Amitabh was voted the ’ of the Millennium’ in a poll conducted by the BBC. He defeated stars such as Charlie Chaplin and Robert De Niro. 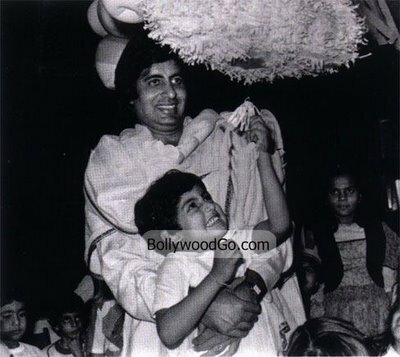 On April 14, 2005, Amitabh was appointed as a UNICEF Goodwill Ambassador and focused on polio eradication and HIV/AIDS. 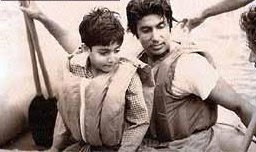 Amitabh almost died from an accident during the filming of Coolie, although details of the accident remain sketchy. He was hospitalised and the Indian press issued daily bulletins on his health. 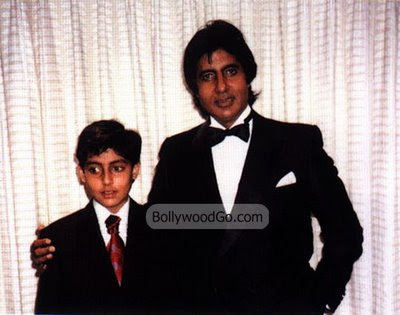 Amitabh’s favourite screen name is Vijay, which he had as his character name in over 20 movies. On Amitabh’s 61st birthday, he relaunched ABCL as AB Corp. ABCL had to be closed after debts of more than millions of rupees. However, Amitabh decided to relaunch it with a name change. 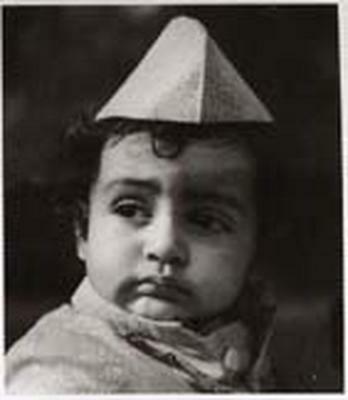 His daughter, Shweta, is married to Nikhil Nanda, who is the grandson of Raj Kapoor. (Raj Kapoor's daughter, Ritu, took on the last name of Nanda when she married Rajan). Vidhu Vinod Chopra wanted Amitabh Bachchan to play the lead role of Inspector Inayat Khan in Mission Kashmir (2000). 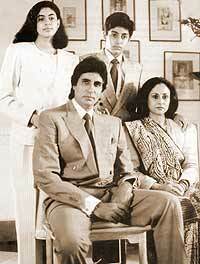 The reason why Amitabh Bachchan declined the role was because of his commitment to Yash Chopra's Mohabbatein (2000). Amitabh is the only actor who achieved at least one hit every year for 15 consecutive years - from 1972 in Bombay to Goa to 1986 in Aakhree Raasta.